This year’s Gas Safety Week, which aims to highlight gas safety issues, came to a close yesterday with Gas Safe Register hailing the week long campaign a “magnificent” success. From a prominent spot on breakfast TV show Daybreak to extensive coverage in local and national newspapers and widespread website content, the campaign to raise awareness of the dangers of unsafe gas appliances and using illegal gas engineers to carry out gas work went into overdrive last week. 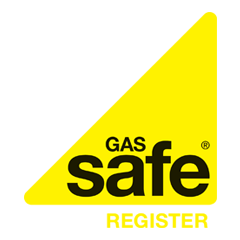 Over the course of seven days Gas Safe Register set out to inform and educate the nation with its second annual Gas Safety Week. Paul Johnston, Gas Safe Register’s chief executive said that if they were to build on the success of last year’s campaign they would need the support of organisations across the country to get on board and spread the message. Which they did. “We made that call to industry to come on board, to pledge support, to distribute leaflets, tweet messages, to take the message out to their own staff and their own customers and they have. The response from the whole industry has been magnificent,” he said. As to be expected, social media played a pivotal role throughout the week. Twitter went in to overdrive and Gas Safe Register’s Facebook page had more than 10,000 ‘likes’. As well as highlighting the importance of always using a Gas Safe Registered engineer to carry out work on gas appliances such as central heating boilers and gas fires, Gas Safety Week was also tasked with getting the message out there about carbon monoxide poisoning, also known as the silent killer. According to new research a large number of people in the UK continue to remain ignorant of carbon monoxide and its surrounding dangers, largely because there’s a lack of knowledge not to mention confusion when it comes to identifying the signs which can be attributed to carbon monoxide poisoning. Known as the silent killer because carbon monoxide is a colourless, odourless and tasteless gas but surprisingly more than half of the people who took part in the research said they were of the belief that a funny taste in the mouth could be an indication of carbon monoxide poisoning. While a third thought a cough was also another sign, 29% though the same of a sore throat and it was a similar story with loss of appetite (27%), difficulty sleeping (23.2%) and stomach cramps (16.2%) other wrongly identified carbon monoxide poisoning symptoms. “This evidence clearly shows that the symptoms of carbon monoxide poisoning are easily confused with less serious conditions, which is concerning because it can kill people quickly,” said Dr Peter Karpati, from the London Hyperbaric Chamber.